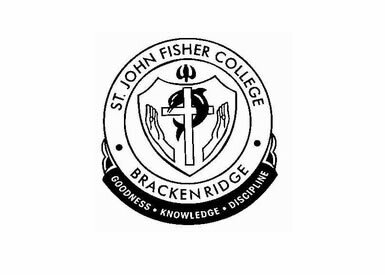 St John Fisher College is a girls school which offers the latest in teaching and learning, technology, extra curricular activity, and the benefits of being a high quality inclusive Catholic school. We offer our students a rounded education that supports personal growth based on Christian values. St John Fisher College is a Catholic school which has built its reputation on catering for individual needs and sees diversity, both in terms of educational opportunities and student population, as a real strength. St Gerard Majella Primary School is a co-educational Catholic Primary School catering for approximately 450 students from Prep to Year Seven. Located in the rapidly developing southern suburbs of Cairns, St Gerard Majella, is situated in a beautiful setting at the base of Red Hill. We share well-kept grounds with the adjacent secondary school, St Mary’s Catholic College. An integral part of Our Lady Help of Christians Parish, St Gerard Majella is a school focused on people – children, parents and teachers working together to build a Christian community. This is a community inspired by love, a concern for one another and a relationship with God. The staff at St Gerard Majella fully recognises the role of parents in the educative process of the child. Co-operation and consultation with parents and caregivers is valued and encouraged. Our goal is working with parents to develop our children spiritually, academically, emotionally, socially, physically and culturally. 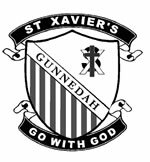 Founded by the Sisters of Mercy from Ennis, Ireland in January 1879, St Xavier's Primary School, Gunnedah, is a systemic school of the Armidale Catholic Diocese. St Xavier's School continues the fine tradition established by the Sisters over 130 years ago of providing high quality affordable education to the children of Gunnedah and district. Catering for children from Kindergarten through to year 6 and with a current enrolment of 395 students, the school provides an outstanding education where children are nurtured in a caring Christian community. St Patrick's School provides Catholic Education for the students in Holbrook and surrounding areas. We have a current enrolment of 57 students. The school's motto is 'Pray, Live and Learn in Christ' and this provides the focus for actions of the members of our community. Our school is proud of the students' achievements across all the key learning areas (KLA's). Our school boasts experienced and committed teachers who strive to achieve the best results possible for every child within our school. We have a strong emphasis on recognising and rewarding positive behaviour. As a small school, this is evident in the caring manner in which staff and students relate to each other. We are working at implementing a student welfare program based on the 'Making Jesus Real' program. As a co-educational systemic Catholic School the school operates under the guidelines and policies of the Catholic Schools Office in Wagga Wagga. We welcome all to our school community and know that children will benefit from and enjoy the years they spend in a Christian environment at our school. 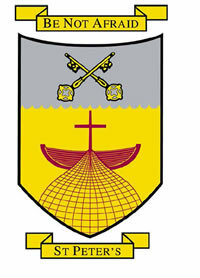 St Peter’s College is a Catholic school in the parish of St Agatha’s located in the Diocese of Sale. The College is Christ centred with the Gospel values underpinning all that we do here at the College. We recognise the dignity of each person and provide a caring and supportive environment for each student to develop to their full potential. The College provides education in faith, spirituality and service. St Joseph’s Parish Primary School is a medium size school with 14 classes at Moorebank. The school provides education for boys and girls from Kindergarten to Year Six. Our school hours are 9.00am to 3.15pm. Student supervision commences at 8.30am. Before and after school care is provided by the YMCA organization at nearby premises with a special bus service transporting children to and from the school under the YMCA coordinator’s supervision. Parents make arrangements for before and after school care directly through YMCA. We hope to inspire our students to recognize their role in bringing the face of Jesus Christ into their relationships with others and develop tolerance and understanding of the needs of those who are disadvantaged, sick and elderly. Our school motto ‘Charity and Love’ guides us in this belief and underpinned by our reverence to the life and model of service of Australia’s first Saint, Blessed Mary MacKillop and St Joseph, Jesus’ earthly father and first teacher we are called to share our Christian values of hope, love and faith with our students. The purpose of NAMOI VALLEY CHRISTIAN SCHOOL is to support Christian parents by providing an educational setting in which teaching and learning of a high standard are founded on Bible-based beliefs, values and behaviours and in which parents have ready access to the decision-making framework. 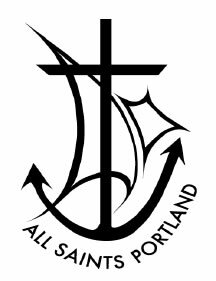 All Saints Parish School serves a community of mixed socio-economic background, drawing children from both city and rural environments. All Saints Parish School is characterised by its warm and friendly atmosphere, where each member of the community is made welcome. We are proud of our family orientation, and are rewarded by parents who are supportive and who become involved in a variety of activities. Our teaching staff is conversant with current philosophies and practices. Their dedication and professionalism combined with a broad, comprehensive and flexible curriculum promotes an educational environment where children are encouraged to strive for, and achieve their personal best. Our students are encouraged to show courtesy and respect, and to be tolerant of the differences of others, reflecting the importance of the Gospel Values, which are promoted within our School Community. 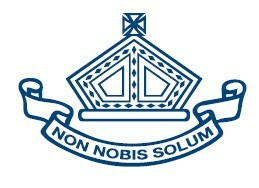 Welcome to Mosman Prep, an Independent Preparatory school for boys. Mosman Prep is an exciting place of learning, challenge and achievement where every boy has a valued place in the school community. There is a fine balance here between tradition and making sure we are at the forefront of educational practice. We pride oursleves on a personal approach and focusing on the development of character values. St. Francis Xavier's is a systemic Catholic school in the Armidale Diocese and has an enrolment of 280 children. The school was founded in 1885 by the Sisters of St. Joseph of the Sacred Heart. Our school is a Christ-centred learning environment, which respects and nurtures the uniqueness of all. We have a long and proud tradition as a centre of quality teaching and learning in the parish of St. Francis Xavier's Narrabri. At St. Francis Xavier's we focus on quality learning outcomes to meet the needs of all students. The school has a balanced program across academic, sporting and cultural areas. An active School Board and Parents and Friends Association (P&F) give support for children's learning and welfare. We have a highly qualified and experienced staff who take great pride in the achievements of these pupils. 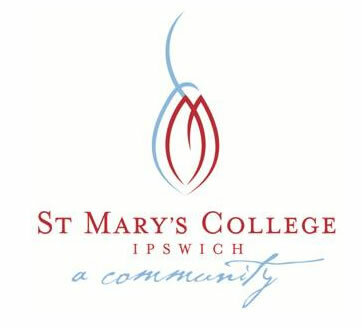 St Mary’s is a co-educational, K-6 school serving the needs of the Catholic community of Corowa and surrounds in providing a Catholic education for its students. Our School motto is "Love and Truth". We provide our students and families with a safe, happy and secure learning environment that encourages close relationships between parents, teachers and students. St Mary's offers students a diverse range of learning experiences catering for individuals in all key learning areas of the curriculum. Welcome to Holy Trinity Catholic School, West Wagga Holy Trinity was established as an Infants School in 1970 to serve the Parish of West Wagga and the suburb of Ashmont. Holy Trinity School West Wagga is one of 27 Catholic Primary and 5 Catholic Secondary Colleges that form the System of Schools serving the Diocese of Wagga Wagga. Our present enrolment of 240 children has the advantage of creating a climate that is vibrant and dynamic and also a personalized and caring place to grow and learn. As this area has grown with new development in Lloyd and Glenfield so has our school. Holy Trinity exists to serve the Parish of West Wagga and supports our families in their prime role of educating their children in the Catholic faith. The staff of Holy Trinity are dedicated to providing 21st century learning opportunities to each of our children in a safe and caring environment. The community has a great deal to offer the children in our care. A Catholic Co-ed School from Prep to 6. Cater for the individual, as well as offering a broad and balanced curriculum in the nine Curriculum Learning Areas. Monivae College is a Catholic Secondary Co-Educational Day and Boarding School owned by the Missionaries of the Sacred Heart and located in the Western District of Victoria, Australia. Monivae is a caring, compassionate community in which each student is encouraged to achieve his or her own potential. With care, compassion and understanding as its hallmark qualities Monivae College strives to build a community of faith among staff, parents and students, and places great value on commitment, trust and acceptance of others in fostering the growth of the community. Monivae is a progressive and expanding Catholic Secondary College, with a dynamic curriculum and clear vision of its future. A capital works program implemented over the past number years has seen a huge development in student facilities as well as the ongoing upgrading of staff facilities. The school aims to educate children from a position that is consistently Christ-centred and that demonstrates the relevance of the Word of God to the whole of life. Sacred Heart encourages six practices: Collaboration, Communication, Self-Responsibility, Human Development, Meaningful Learning and Inquiry. Alongside these learning and teaching practices we believe in developing the dispositions necessary for effective learning. These are known as Habits of Mind. Intelligent behaviour goes hand in hand with the teaching of Gospel values and thus not only creates a caring and compassionate community but also a community of ‘thinkers’ who can articulate clearly WHY they do and say things - always understanding THE PURPOSE. Glenvale Christian School (GCS) is a school that presently caters for years ‘Prep’ through 7. 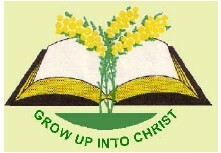 It endeavours to apply the Christian faith to all areas of life and therefore to every part of the school curriculum. Develop in their responsibility for, and enjoyment of, life in God's Kingdom. 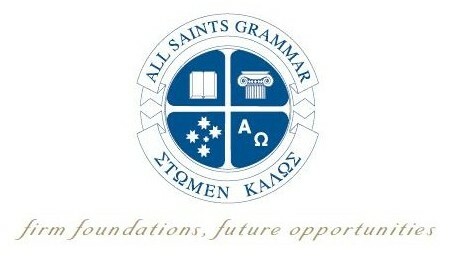 All Saints Grammar School is a co-educational Orthodox Christian School from Kindergarten to Year 12, run under the auspices of the Greek Orthodox Archdiocese of Australia. This young and vibrant school founded in 1990 by the Parish and Community of Belmore and District to provide academic excellence built on a foundation of sound Christian ethics and Hellenic heritage.